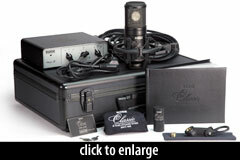 The Classic II Limited Edition is an anniversary edition of the company’s Classic II microphone. Both are multipattern large-diaphragm tube condensers. The capsule is a one-inch, edge-terminated design. The mic’s amplifier circuit is based on the 6072 dual triode, and uses a Jensen output transformer. The LE has a black finish, engraved with the anniversary nomenclature. The LE includes a replacement 6072 tube. The LE has a lifetime warranty, whereas the original has a 10-year warranty. 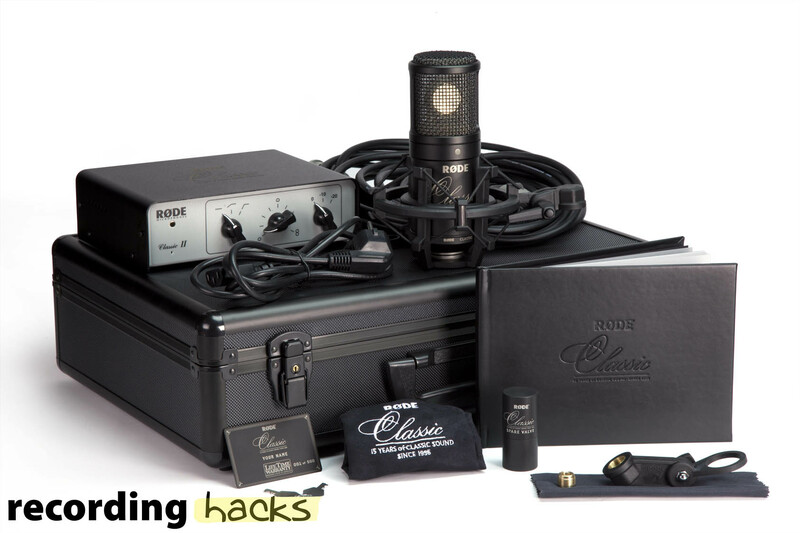 The Classic II Limited Edition microphone system includes an elastic shockmount, a spare tube (packed in a sturdy aluminum storage cylinder), a ring mount, a power supply with cable, a cleaning cloth, and a locking metal flightcase. The mic is covered by a lifetime warranty, which is celebrated by an engraved identification card to be sent to each buyer upon registration. Finally, each mic includes a leatherbound “coffee table book” that documents the history of the microphone. For additional information and reviews, see the Classic II profile.